These days, it feels like most mainstream investors are sugarcoating this so-called economic recovery. We've seen this too many times to take such bullishness at face value. So, while the mainstream financial press is all sunshine and rainbows, there is a core group of gloom-and-doom economists, financial gurus, and soothsayers who have scoffed at such feel-good banter. And if you've been bold enough to venture down the rabbit hole with them, you've probably done pretty well for yourself. If you haven't, it's never too late to join in with the prophets (and profits!) of doom. 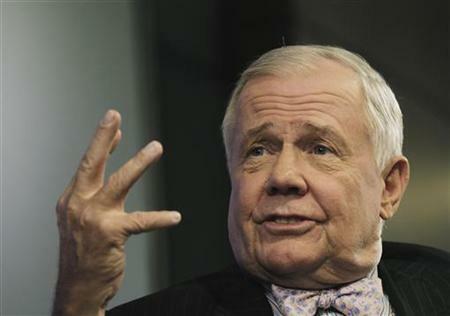 Jim Rogers is an American investor and author, currently based in Singapore. He may be most notable for cofounding the wildly successful Quantum Group of Funds with George Soros. He also founded the Rogers International Commodities Index® (RICI®) and chairs Rogers Holdings and Beeland Interests. He famously broke a Guinness World Record by driving his motorcycle across the globe to check out far-flung economies like China, Uruguay, and Mongolia. These travels have made Rogers very bullish on the long-term economic prospects of China and Asia. As central banks around the world try to print their way out of the holes they've dug, the value of their currencies will be damaged by inflation. This should boost the prices of real assets. And Rogers is "generally short global equities and owns real assets and producing agricultural land." I'm now selling long-term U.S. government bonds short. That's the last bubble I can find in the U.S. I cannot imagine why anybody would give money to the U.S. government for 30 years for less than a 4% yield. I certainly wouldn't. There are going to be gigantic amounts of bonds coming to the market, and inflation will be coming back. Rule 1: Do your own work. Don’t be afraid of being a loner. Rule 2: Good investors need a historical perspective­. Rule 3: Think conceptually about the world. Rule 4: Don’t buy stocks at high multiples. "I don’t buy them because, by the time they reach a high multiple, it’s probably about time for it to come to an end. Wall Street and politicians are the last to catch on to any­thing..."
Rule 5: Be selective in your investing and look for one good idea. "The most important trick for getting rich on Wall Street is not to lose money. There are many guys who do well for two years and then get creamed. Wait until you have a winner and are sure. In the meantime, keep your money in treasury bills. Professional money managers feel that they have to do something all the time and are the worst at following this advice. "Even if you only have one play every ten years, you’re going to do a lot better than most people." Rule 6: Every investment should be considered a commodity that will be affected by supply and demand changes. It’s just a question of when. "Everything has its own supply and demand cycle, which may be a twenty-, thirty-, or fifty-year cycle, and every­thing is basically a commodity in the end..."
Rule 7: Every investor should lose some money, because it teaches you about yourself. "What I object to [about] the current government intervention in so-called 'solving the crisis,' [is that] they haven't solved anything. They've just postponed it." 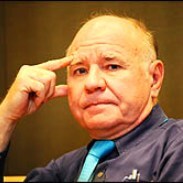 The original "Dr. Doom," Marc Faber has been at the forefront of the Austrian School of economics. 1. There is no investment rule that always works. If there was one single rule that always worked, everybody would in time follow it, and therefore, everybody would be rich. But the only constant in history is the shape of the wealth pyramid, with few rich people at the top and many poor at the bottom. Thus, even the best rules do change from time to time. 2. Stocks always go up in the long term. This is a myth. Far more companies have failed than succeeded. Far more countries' stock markets went to zero than markets that have survived. Just think of Russia in 1918, all the Eastern European stock markets after 1945, Shanghai after 1949, and Egypt in 1954. 3. Real estate always goes up in the long term. While it is true that real estate has a tendency to appreciate in the long run, partly because of population growth, there is a problem with ownership and property rights. Real estate in London was a good investment over the last 1,000 years, but not for America's Red Indians, Mexico's Aztecs, Peru's Incas, and people living in countries that became communists in the 20th century. All these people lost their real estate and usually also their lives. 4. Buy Low and Sell High. The problem with this rule is that we never know exactly what is low and what is high. Frequently what is low will go even lower and what is high will continue to rise. 5. Buy a basket of high-quality stocks and hold! Another highly dangerous rule! Today's leaders may not be tomorrow's leaders. Don't forget that Xerox, Polaroid, Memorex, Digital Equipment, Burroughs, and Control Data were the leaders in 1973. Where are they today? Either out of business or their stocks are far lower than [they were] in 1973! 6. Buy when there is blood on the street. It is true that, very often, bad news provides an interesting entry point, at least as a trading opportunity, into a market. However, a better long-term strategy may be to buy on bad news that's been preceded by a long string of bad news. When then the market no longer declines, there is a chance that the very worst has been fully discounted. Everybody is out to sell you something. Corporate executives either lie knowingly or because they don't know the true state of their businesses and the entire investment community makes money on you buying or selling something. 8. The best investments are frequently the ones you did not make. To make a really good investment, which will in time appreciate by 100 times or more, is like finding a needle in a haystack. Most "hot tips" and "must buys" or "great opportunities" turn out to be disasters. Thus, only make very few investment decisions that you have carefully analyzed and thought about in terms of risk and potential reward. 9. Invest where you have an edge! If you live in a small town, you may know the local real estate market but little about Cisco, Yahoo and Oracle. Stick with your investments in assets about which you may have a knowledge edge. "Prices are going up. Unemployment [will] continue to go up. And we have not had the necessary correction for the financial bubble created by our Federal Reserve system." The Libertarian-minded congressman from Texas has never been shy about his distrust of the American monetary system or about his fondness for gold, as indicated by the titles of his best-selling books: End the Fed and The Case for Gold. While some have written Ron Paul off as paranoid, he has predicted almost every geopolitical event of the last 10 years. From the Arab Spring to the financial crisis, from exploding deficits to the expansion of the Fed, and from record gold prices to the current Iranian oil skirmish — Paul warned us about all of them in a single speech from 2002. “I have no timetable for these predictions but, just in case, keep them around and look at them in five or ten years,” Paul somberly noted as he ended his speech. It's been over a decade since that speech. And Paul was spot-on. While a typical Congressional portfolio has an average of 10% in cash, 10% in bonds or bond funds, 20% in real estate, and 60% in stocks or stock funds, Paul is no typical congressman. He has about 20% of his holdings in real estate and 14% in cash. "If you want to get into a good entrepreneurial business, guillotines may be in fashion." 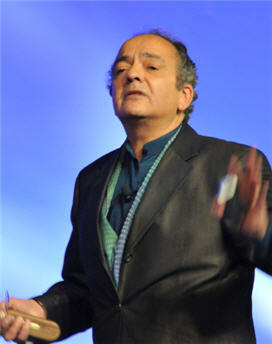 While Gerald Celente is not a financial advisor, per se, he is an expert at recognizing trends. As the founder of Trends Research Institute, Celente has made predictions that would make Nostradamus blush like a teenage girl. So, what does Celente see in his crystal ball today? Economic Martial Law: Given the current economic and geopolitical conditions, the central banks and world governments already have plans in place to declare economic martial law ... with the possibility of the military's martial law to follow. “Democracy is Dead; Long Live the Technocrat!” A pair of lightning-quick financial coups d’état in Greece and Italy have installed two unelected figures as heads of state. No one yet in the mainstream media is calling this merger of state and corporate powers by its proper name — fascism — nor are they calling these “technocrats” by their proper names: Bankers! Can a rudderless ship be saved because [a] technocrat is at the helm? Safe Havens: As the signs of imminent economic and social collapse become more pronounced, legions of New Millennium survivalists are, or will be, thinking about looking for methods and ways to escape the resulting turmoil. Those "on-trend" have already taken measures to implement Celente’s 3 G’s: Gold, Guns and a Getaway plan. Where to go? What to do? Big Brother Internet: The coming year will be the beginning of the end of Internet Freedom: A battle between the governments and the people. Governments will propose legislation for a new “authentication technology,” requiring Internet users to present the equivalent of a driver’s license and/or bill of health to navigate cyberspace. For the general population it will represent yet another curtailing of freedom and level of governmental control. The Treasury plan is a disgrace: a bail-out of reckless bankers, lenders and investors that provides little direct debt relief to borrowers and financially stressed households and that will come at a very high cost to the US taxpayer. And the plan does nothing to resolve the severe stress in money markets and interbank markets that are now close to a systemic meltdown. There's room for more than one Dr. Doom on this list. Nouriel Roubini's dour demeanor and frequently bearish outlooks have earned him the same moniker as Faber. Roubini really exploded on the media scene after successfully predicting the housing Subprime Meltdown and its subsequent collapse. In 2005 Roubini said home prices were riding a speculative wave that would soon sink the economy. Back then the professor was called a Cassandra. Now he's a sage. 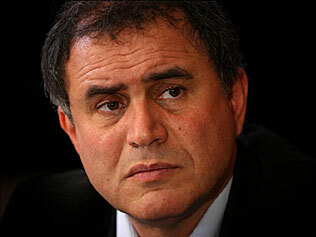 He currently chairs the Roubini Global Economics consulting firm and teaches at the NYU Stern School of Business. He has been previously employed by the International Monetary Fund (IMF), World Bank, and the Federal Reserve. He has acted as an advisor to former Secretary of the Treasury Timothy Geithner (but try not to hold that against him). I regularly save about 30% of my income. Apart from my mortgage, I don’t have any other debts. The credit crunch hasn’t affected me much. ... I’ve always lived within my means and, luckily, have never been out of work. I would say I’m a frugal person — I don’t have very expensive tastes... You don’t need to spend a lot to enjoy things. Does Roubini See More Rain Clouds Ahead? The eurozone will begin breaking up. The U.S. will fall back into recession. A military conflict with Iran will bubble over. Emerging markets like China will begin to slow. "I am not going to say I told you so... but I did." "But, the economy can restructure and recover quickly as long as government gets out of the way, but as long as the government is in the way there will never be a recovery." 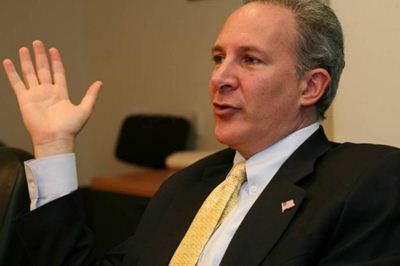 Peter Schiff is a respected financial commentator and the CEO and chief global strategist for Euro Pacific Capital. He was also an economic advisor to Ron Paul's presidential campaign in 2008. The United States economy is like the Titanic and I am here with the lifeboat trying to get people to leave the ship... I see a real financial crisis coming for the United States. On December 31, 2006, Schiff forecast: "What's going to happen in 2007 is that real estate prices are going to come crashing back down to Earth." It’s important to know what types of investments to avoid. Treasuries, or in fact any dollar denominated debt, needs to be avoided because again, either you are not going to be paid back or you are going to be paid back in money that doesn’t buy much. So, either way you are losing. So you have to protect yourself; gold/silver, commodities in general, stocks are a way to go although I like foreign stocks better than most domestic stocks, and emerging markets. Back in the '50s, James "Mr. Dines" Dines walked into his office at 18 Wall Street, New York, NY, and was promptly told to pack his things. You see, Mr. Dines firmly believed that the U.S. dollar would be devalued. This view was widely considered treasonous in the era of Joseph McCarthy. But he talked about it incessantly in the newsletter he wrote for financial brokerage A.M. Kidder & Co. Furthermore, Mr. Dines predicted that gold would enter into a historic bull market, rising from government-fixed levels of $35 to over $400. Over the next decade and a half, gold prices soared from $35 per oz. to a peak of $486. The yellow metal never again fell below $272. Silver, meanwhile, skyrocketed from $0.92 per oz. to more than $20. Mr. Dines was right. The man whom Barron’s would one day call "The Original Goldbug" proved the doubters wrong. After being fired from his job at A.M. Kidder in 1960, Mr. Dines struck out on his own, self-publishing his investment newsletter. He used the space to tell anyone who cared to listen that a crisis was coming, that gold would rise, and that it’d take silver with it. Subscribers who listened profited from a 2,025% rise in gold prices in just seven years and from a 1,639% surge in silver. However, after the meteoric rise that gold experienced in the '70s and '80s, prices slipped back under $300 per oz. in the '90s. Almost overnight, goldbugs like Mr. Dines went from being right to being an object of derision and scorn once again. It would have been easy for Mr. Dines to take his fortune and disappear to some obscure island in the Caribbean, but that’s not what he did. Ever faithful to his mission as a self-described "reporter,” Mr. Dines continued to make his silly gold predictions. “Buy,” he insisted in 2001 when gold was trading at $288. There are critics (some of the same people who called Mr. Dines "crazy" to begin with) that will argue that this was all luck. After all, if you predict that gold prices will rise for more than 50 years, you’ll eventually be right at some point… right? But it’s not just gold and silver that Mr. Dines has been right about. His insight extends far beyond that. Predictions like those these days are rote. But when Mr. Dines made such a bold claim, China’s GDP was just $175 billion, a mere fraction of the $11 trillion dragon that we see today. Indeed, Mr. Dines’s China warning was laughed at and dismissed, just like his gold predictions. A truth of financial reality is that any prosperity built on paper money has usually been fun for a while, but has always ended in catastrophe. In the 1920s (as in the 1960s) the stock market was fueled by surplus paper spilling over from banks, which borrowed it from the U.S. Treasury, which had borrowed it from itself. It is inconceivable that the same unwise mistakes made in the 1920s were repeated in the 1960s. The question that remains is, will I be able, in some slight way help prevent it in the year 2008. Yes, Mr. Dines predicted that an overabundance of paper money (i.e. excess liquidity from the Federal Reserve and banks) would create a bubble that would inevitably burst in 2008… and he did it in 1975. Not only that, but on January 14, 2005, Mr. Dines explicitly warned of the coming real estate crash of 2008, saying it would teach a lesson in illiquidity and shake the mortgage markets to its roots. He predicted that the use of medical marijuana would be legalized by many states. It’s now legal in half of the country. At some point, you have to stop laughing at an oracle and start adhering to their wisdom. This is why I don’t laugh when Mr. Dines speaks — I listen. Americans have been unrelentingly assured by the Washington economic establishment that the economy is still recovering from the 2008 Great Recession. Now, America is saddled with nearly $20 TRILLION in debt. You could literally spend $1 million a day, every single day, back to the day when Julius Caesar was born (July 12, 100 B.C.) and still not spend $1 trillion! The debt is huge and growing (by nearly $1 trillion a year). And there’s no possible way to pay it down. World trade is such that we can't possibly earn that much money through exporting to other nations, particularly since they are more interested in exporting into our market. Mr. Dines has long warned that cutting the dollar’s link to gold wouldn’t just lead to chaos, it would be the dollar’s death knell. There isn’t a paper currency on Earth worth trusting as much as gold and silver. And he’s been pounding the table about them for many years now. Mr. Dines has described all paper currencies as “a bunch of staggering drunks holding each other up” and believes that currency crises will keep happening with increasing frequency — each worse than the previous — until gold is restored as the primary monetary asset. And if you’d like more information, Mr. Dines (now in his 90s!) 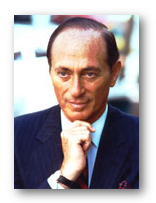 is still publishing his Dines Letter — in which he advises on this and other pending crises. Be sure to stay tuned to Outsider Club as we bring you news to help you profit, like these prophets of doom, each and every day of the week. With us, you get the latest from Jim Rogers, Marc Faber, Ron Paul, Gerald Celente, Nouriel Roubini, and Peter Schiff — plus more gloomers, doomers, and permabears that you might not have ever heard from before.